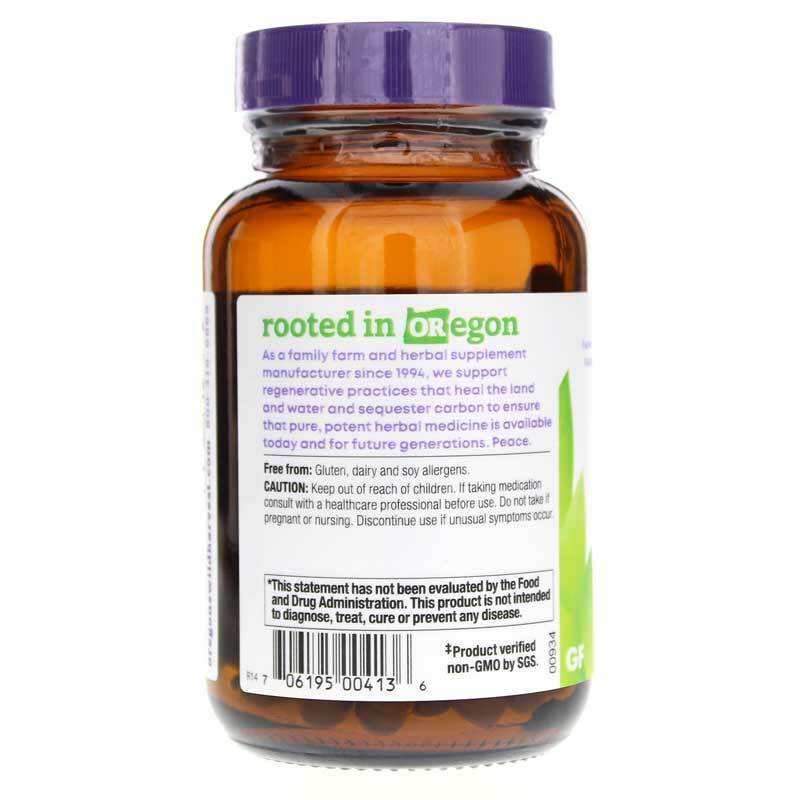 Bilberry from Oregon’s Wild Harvest contains a clinical dose of Bilberry fruit extract standardized to 25% anthocyanosides – a group of pigments and flavonoids that may support normal eye health and a healthy immune system. Bilberries appear similar to blueberries and are in the same genus, Vaccinium, though they are distinct in that they are native to different regions and have unique attributes, namely bilberries may be softer and juicer. Berried fruits are often credited for their antioxidant content. Bilberry is no different, containing tannins and flavonoids, which may support healthy circulatory and immune systems. Tannins are biomolecules that bind proteins, amino acids, and alkaloids together into other compounds that promote absorption when metabolized. Flavonoids comprise a large group of compounds, however, in Ayurvedic medicine, they are associated with healthy skin, wakefulness, and blood sugar levels already in the normal range. 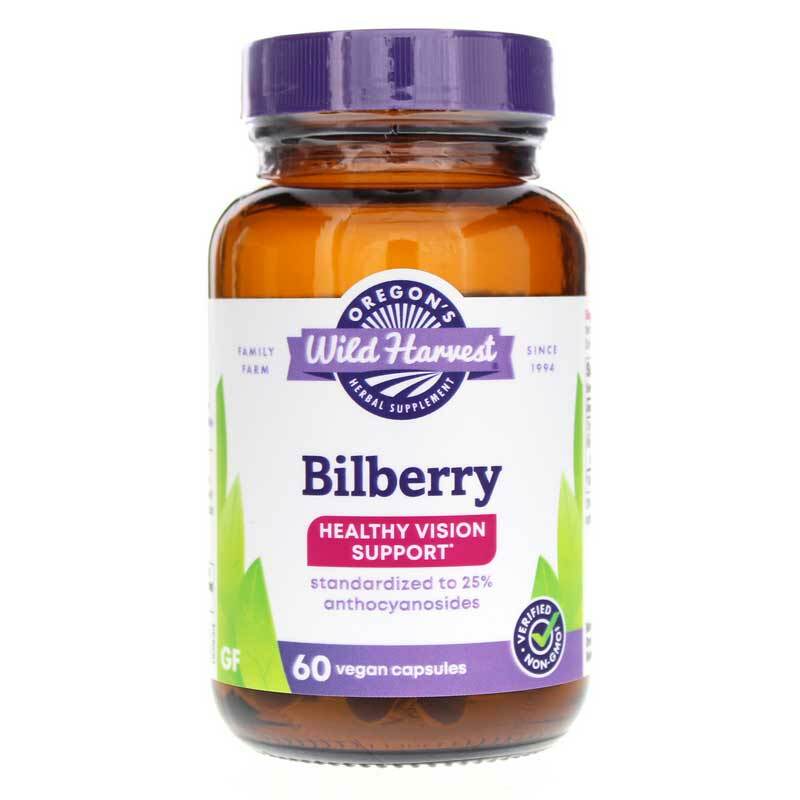 Bilberry may provide chemical compounds that seek to support normal eye health and a healthy immune system. Experience it for yourself! 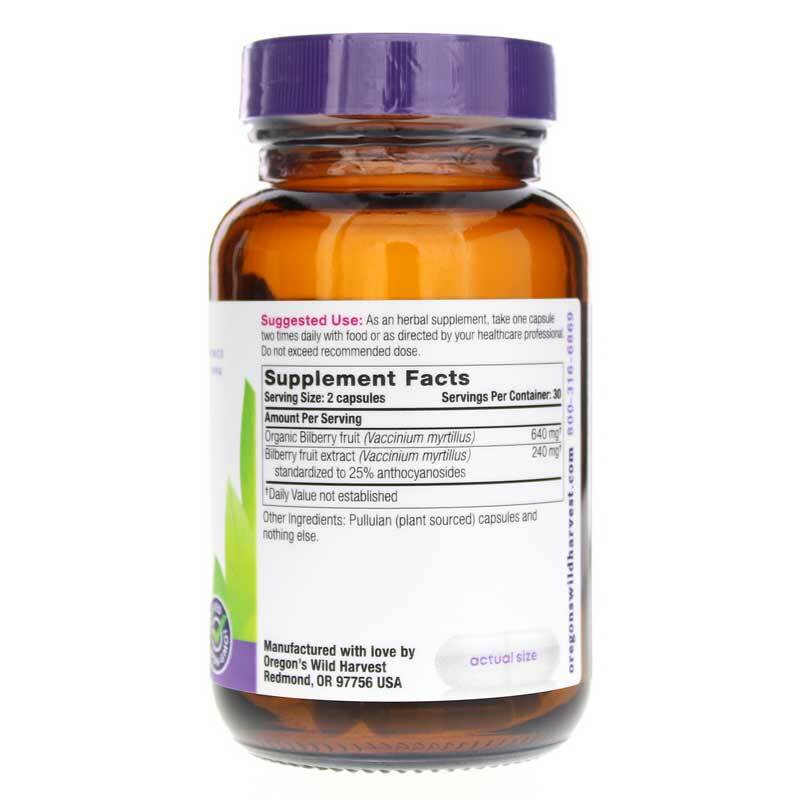 Adults: As an herbal supplement, take two capsules daily with food. Do not take if pregnant or nursing. Keep out of reach of children. Discontinue if unusual symptoms occur. Do not exceed recommended dose unless under the guidance of a healthcare professional.